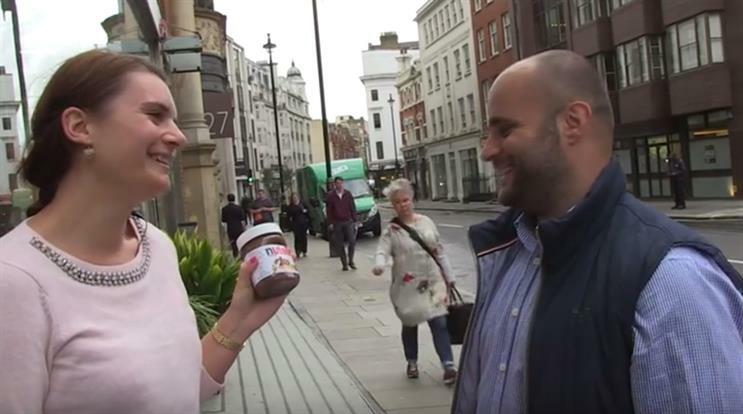 The public reacts: Nutella or New-tell-uh? There's been a heated debate on social media after Welsh comedian Dan Mitchell tweeted "Oh god, I just heard a man pronounce Nutella New-tella". Marketing took to the streets of London to find out how the public pronounce the name of the brand. In general, most people thought that the brand name was pronounced "Nuh-tell-uh" rather than "New-tell-uh". Interestingly, many also admitted that they would rather eat the nutty spread straight out of the jar with a spoon rather than spread it on toast.